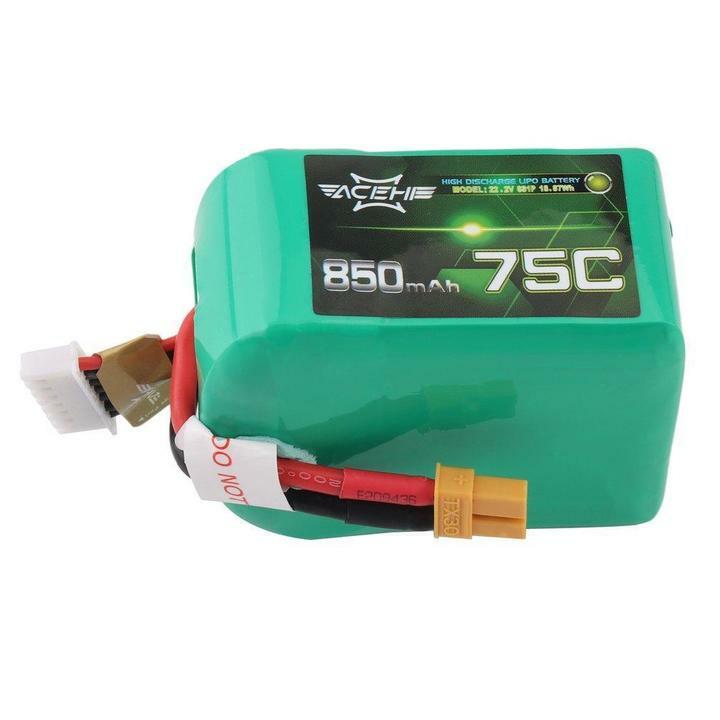 Acehe 850mAh 75C is a high-performance battery for mid-size multicopters. The continuous current consumption of 75C (short-term up to 150C) meets the demanding requirements for racing. The battery is available in versions 3S, 4S, 6S.